Fans looking for an inside look of the University of Houston Baseball program can do just that this spring as Houston Baseball Central airs on AT&T SportsNet Southwest. Hosted by Jeremy Branham, eight episodes of Houston Baseball Central will air on AT&T SportsNet Southwest beginning at 6 p.m. on Thursday, March 28, and running through Thursday, May 16. Branham will be joined in studio each week by Houston Head Coach Todd Whitting looking back at the previous week’s game and previewing the team’s upcoming contests. 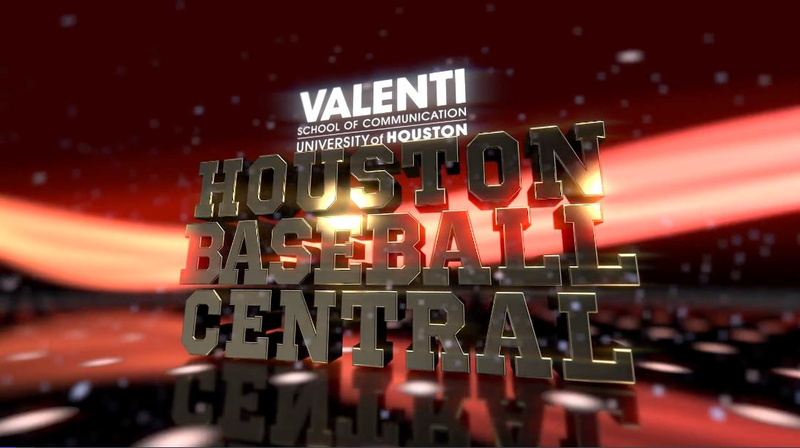 Houston Baseball Central tapings will take place in the Valenti School’s Funston Communications Center studios and production facilities with Valenti students holding several production roles. Fans can find AT&T SportsNet Southwest on AT&T U-verse channels 758 in SD and 1758 in HD, on DIRECTV channel 674 and on Comcast channels 39 in SD and 639 in HD. The network’s programming schedule is available at southwest-attsn.att.com .